Where's the Best Asian Grocery Store in Perth? I'm a freelance writer living in Perth. Having 2 young kids with endless energy, we are always on the lookout for new outdoor activities. More and more people enjoy cooking and eating food from different cultures nowadays, and that includes Asian food. However it is not that easy to find them in our normal grocery shops. Some supermarkets stock them, but they are far from complete and quite a few products have been "Australianised" to adhere to market taste. If you need prove of this, compare some items from our supermarkets to authentic Asian versions: "hot" curry paste (try "Action A1" brand from Malaysia), sweet soya sauce ("Kecap Manis Bango" from Indonesia), fish sauce ("Three Crabs" from Vietnam), tea, chilli, noodles ... the list goes on. There is no need to feel bad about all these Australianisation of food. After all, they are doing it to our products, too. Do you know Indonesia has their own Arnotts factory, that manufactures biscuits that taste different to ours? They actually make Tim Tams in cheese flavour. The mind boggles. 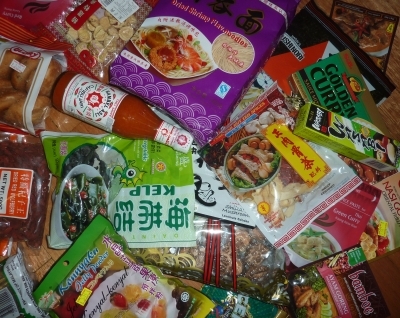 So, going back to my query: If we want authentic Asian groceries in Perth, where do we go? The answer that first comes to mind would of course be Northbridge. Along William Street there are admittedly a number of Asian grocery shops which should satisfy any requirements for oriental ingredients, condiments, or goodies. My own personal favourite is VHT (410-412 Williams St) which recently expanded by taking over the shop next door. However, my biggest problem about Northbridge is parking. First, you have to pay for parking on most street bays, even on a Sunday. Second, it is impossible anyway to find street parking and more often than not, you're forced to park a few blocks away or get into one of those private carparks that cost the earth. So we need more options here. We can't all go to choc-a-block Northbridge. My second proposal would be Victoria Park. Judging by the number of Indonesian restaurants on Albany Highway, Victoria Park seems to have a large community of Indonesians. And that's surely a sign that Asian groceries are needed. One of the major Asian grocery shops there is Kongs (784 Albany Highway, East Victoria Park), which not surprisingly also has a store in Northbridge. The conundrum here is unless we actually live there or happen to be car-shopping at one of the John Hughes dealers, we really don't want to be going out of the way just for one shop, do we? Thus my third proposal, Coventry Square Markets (243-253 Walter Rd, Morley). So you could kill two birds with one stone: do your normal market shopping and Asian grocery shopping at the same place, with ample free parking. My complain here is that the Asian shops at this market tend to be on the smaller side, and as such, incomplete. Well, if size is of matter, we should go south of the river, where most of our oriental communities reside, and thus a big market for Asian grocery shops. True to form, Yee Seng Oriental Supermarket (36 Hulme Court, off Leach Highway, Myaree) is big and airy compared to its competitors. You could actually push your trolley without touching others and some of the products they stock you can hardly find elsewhere. Finally though, you really, really don't want to drive for 20 minutes or more just to buy some salted duck eggs. So, perhaps your own neighbourhood Asian Grocery shop is best afterall? Many suburbs have one, both north of the river (e.g. Kongs at 2/21 Wanneroo Road, Joondanna) and south (e.g. Chan Bros at 2/183 High Road, Willeton). Despite its narrow isles and unattractive shelves, it is afterall practical, because it's in your neighbourhood. Perhaps after a few visit you'll become familiar with the uncle or aunty that owns the shop and may ask them to recommend the best brands or even stock certain items that you like. There is a great little Asian supermarket in Bull Creek on Parry Avenue attached to the Parry Village Shopping Centre. The couple who own it are really lovely and try to find what you need. They offer advice on whether to use Malaysian or Indoesian etc etc...Its my favourite. Market City Gourmet Food at Canning Vale Market is not bad too, I go there every weekend! I am looking for jujubes, a type of fruit. Does anyone know if any shops in Perth have them? Dragon Supermarket on William Street has the most amazingly perfectly stacked shelves you'll ever see - it's worth a visit for this alone.The range and amount of stock is quite mind blowing. My tip - be ready with your money if you buy something, I think the shop was named after the lady at the counter!!! 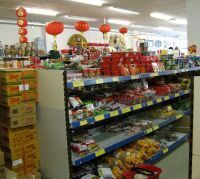 There are heaps of Asian supermarkets in the Girraween area along and just off Marangaroo Drive and also Girraween Ave. There is a fruit/vege Asian grocery store just next to Woolsworth at Centerpoint Midlands. The place is clean, neat and reasonably well stocked.